To learn more about the Patricia Neal Outpatient Clinic, please call (865) 331-1605. 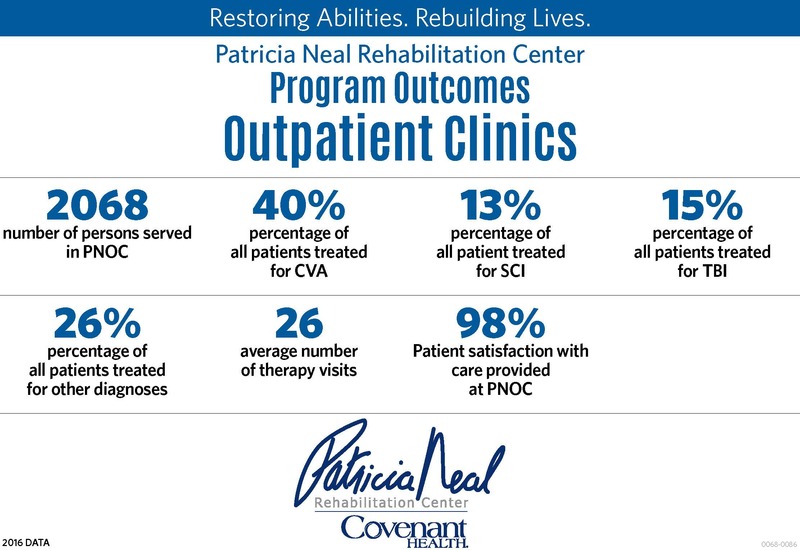 Patricia Neal Outpatient Clinic (PNOC) is a dynamic part of the rehabilitation spectrum of care for those patients who have completed our inpatient programs and to those who have been referred by other health care providers. PNOC is available for a short course of treatment after an injury or a lifetime of care as abilities change with the aging process. PNOC has excellent physical, occupational, speech/language, and behavioral medicine therapies available. 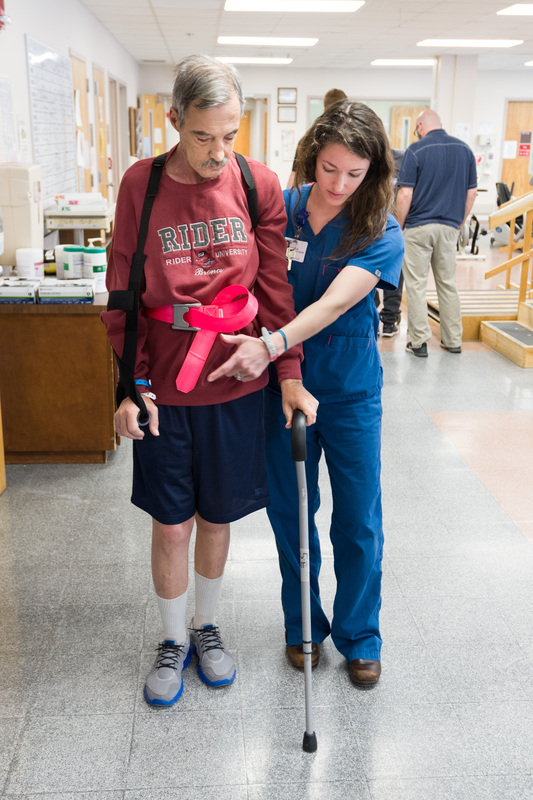 Using a team approach, the therapists work with patients, and their families, to improve function according to each patient’s individualized goals.